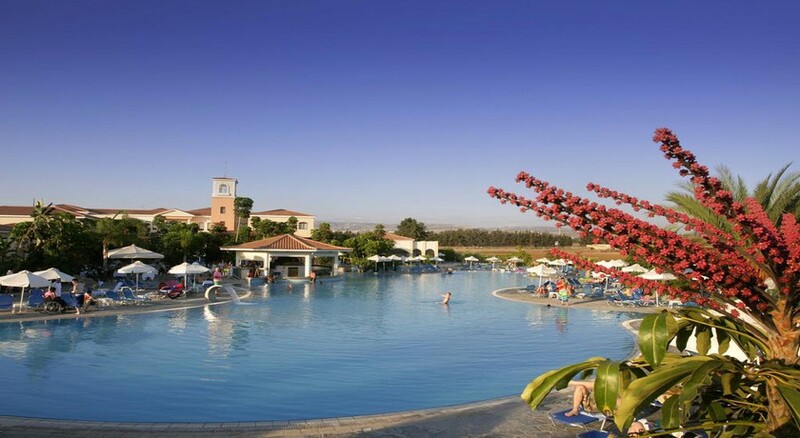 The little oasis that is Avanti Village makes for an ideal holiday destination to Cyprus for all the family. Aesthetically, it features beautiful Mediterranean architecture and flair, with a series of One-Bedroom Apartments suitable for families and couples alike - all of which feature a spacious terrace and a fully-equipped kitchenette, in addition to standard amenities such as a television, Wi-Fi and air-conditioning. Its central location also puts Avanti Village within easy reach of Paphos International Airport, which is just 16km away, and the Old Town of central Paphos, just a five-minute taxi ride. Guests will enjoy lazing around the hotel grounds among the lush gardens and relaxing in or by the pool on one of the spacious terraces. 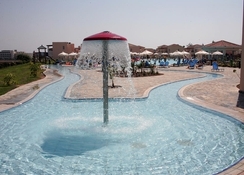 There’re also ample activities on offer around the hotel too, from aerobics and archery to water polo and scuba diving, while adventure seekers could also hire a mountain bike, and laid-back guests can take to the spa for the afternoon. Out in Paphos resort itself, you’ll find fascinating historic sites, water parks and plenty of beaches along the easily accessible coast. 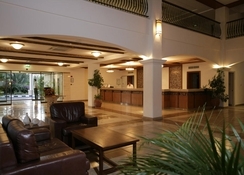 Avanti Village is conveniently located a short distance from Paphos International Airport at just 16km away, where a short taxi trip will have you at your hotel in no time. Reaching the beach simply requires a short and easy stroll. The Paphos Waterpark and Luna Parks are little over a mile away to the south, whilst a little further in the opposite direction you’ll reach the famed Paphos Archaeological Park. Avanti village has its own excellent restaurant and poolside bar, but you’ll also have no problem finding great options once you step outside your hotel with fresh seafood, Italian and traditional Cypriot food to be found along the main road adjacent to the Mediterranean Sea. Avanti Village is made up of 244 One-Bedroom Apartments. As such, these are much larger than your standard hotel room making them perfect for a comfortable family stay. Rooms typically accommodate two adults and three children as they feature four normal sized beds, as well as a camp bed and an additional cost for infants under 2yrs. In addition, guests may request an interconnected room, perfect for large families travelling together. Each apartment features a fully-equipped kitchenette with grill, oven, fridge, cooking utensils and other kitchen necessities. You’ll also find a living area and spacious terrace by which to dine and make the most of the glorious Cypriot sunshine on. Complimentary Wi-Fi is available as well as all your essentials such as a safe deposit box for when you’re away from the apartment, television, telephone and much more. You’ll want to take advantage of the open-air restaurant a few times over the course of your stay for an al fresco dining experience. The restaurant only serves breakfast and lunch, so a trip outside the hotel will be necessary for dinner. You’ll also find a swim-up pool bar, so you can grab a mid-swim snack and drinks without even having to leave the pool! Avanti Village is a short walk from the Spice Hut, which serves Indian delicacies, Mare e Monti, a fine-dining Italian restaurant and Gabor French Restaurant as well as several bar and grills as well as tavernas. 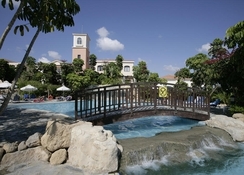 There’s so much on offer at Avanti Village that you might find you scarcely make any trips outside of the hotel! At Avanti Village, you’ll be able to try your hand at archery, tennis and water polo. If you want to spend more time cooling off, guests have a choice of two swimming pools, or why not combine that with something more adventurous like scuba diving? Head to the gym or relax in the sauna for an afternoon of leisure. Avanti Village is conveniently located to provide quick access to the beach just 250 meters from your hotel, as well as there being short walks to Paphos Harbour, Dionysos House Mosaics and two splash-tastic water parks – great for visiting with the kids.